It’s been a while since I blogged and told the world about what’s going on in Moadamiya, but once again, the lack of electrical power and an overdose of trouble keep getting in the way. But I decided I have to make time for this no matter what, so here I am. 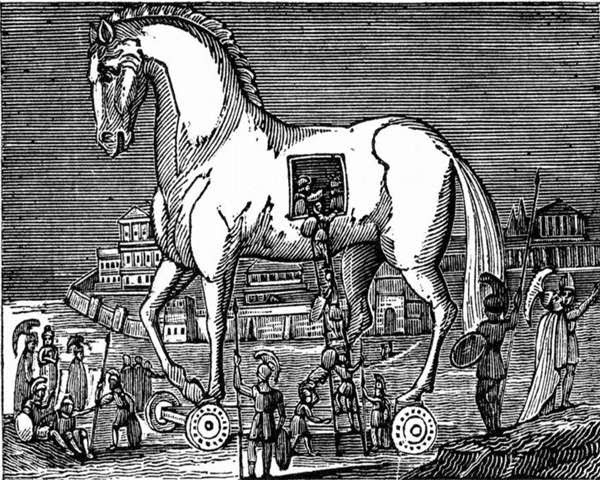 Assad’s weapon of starvation is now in its most advanced stage: the Trojan Horse. The Assad regime is trying to turn people against one another, using food as a weapon of war and as a weapon to divide us. The regime has allowed the delivery of only three shipments of food containing just one meal per person since we agreed to the truce and raised the regime flag. 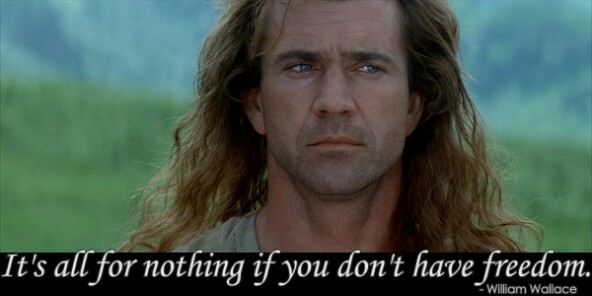 You know that prolonged starvation can stop your mind from thinking straight, change your beliefs and even your faith in things you previously took for granted. That’s my explanation for the big change I’ve noticed in many people here in Moadamiya. For me, starvation inspired me to start the hunger strike, which is something I’d never thought about before. Only a few of our townspeople have made the best of our situation. For the majority, this unspeakable suffering has brought out an ugly side.I can somewhat understand why people seem to only care only about getting food, no matter what the terms are, but for me that is unacceptable. I feel the hunger they feel, but I am not willing to be blackmailed by the regime. Besides raising the flag, the regime wants us to also give up heavy and light weapons, which are the only protection we have against the regime coming in and carrying out a full massacre on our people. The regime has also requested that all leaders of the Free Syrian Army and powerful local council members go out and negotiate with the regime face to face. They have called for all high level officers and prominent activists to report to the Fourth Division Headquarters, without any assurances of safety. At the division, they will be interrogated and asked to sign a statement stating they are terrorists and likely also be asked to sign blank documents, and God knows what the regime will use those for. This is the way of the Assad regime and we know it well. Some members of the negotiation committee are working hard to stir a big mess in the town, which will make us weak and an easy bite for the regime. So, here’s the regime’s Trojan Horse: food and a truce, an apparent gift, which the town leaders sign for with good intentions, but this so called gift destroys us from the inside. Assad slowly takes control of the town, and activists like me continue to receive death threats for speaking out against the regime’s evil methods. As my situation in the town grows more and more dangerous, I’ve decided to leave Moadamiya. This of course is impossible due to the siege, but I am working on finding a way out. Your prayers and well wishes are appreciated. Here’s how I would describe what’s happening in Moadamiya in the past few days. Assad’s so called ‘truce’ is beginning to pay out pretty damn well for him, while all we get in return is crumbs. So that’s what we got after we raised Assad’s flag over our town and handed over a heavy armoured truck, won from the regime during battle. The regime said that they will deliver another shipment of food, but we haven’t seen anything so far. Meanwhile, the regime is telling the world that food entered Moadamiya and that the problem is solved. In reality, all we got is one meal per person and this is after 15 months of siege and starvation. The regime is trying to win residents of Moadamiya over by telling them, from under the table, look we can get you food if you return to being loyal servants to the regime, but if you continue to back the revolution you will starve to death. Unfortunately, the regime’s nasty and evil plan is successfully manipulating some people in here. I don’t know if I can blame them or not but that’s how it is. There’s nothing I want more right now than to spend all day telling the world about the regime’s evil manipulations and to remind them that Moadamiya is still under siege and still suffering from lack of food and medicine. However, it’s been so difficult to find the means to do that. I don’t own a cell phone and the one I borrowed from my friend, had to be returned a few days ago. Now, I work only with a borrowed laptop and very little access to power to help keep the laptop charged. It often dies in under an hour and then I have to scramble to find a source of power to charge it up again. This is one of the reasons I haven’t been able to write a new blog entry for so long. My bad back is still killing me and the doctor says I need urgent surgery or I might lose the ability to move my left leg. I also feel I need to mention Assad’s new fashion of hitting rebel held towns with huge barrels of C4. He’s doing all he can, with a green light from the international community, ahead of the Geneva II conference, so that he can be in a strong position to negotiate. It’s a dirty little world that lets such brave people suffer all this time, and endure all the ways of death on this planet, just because they asked to be free from a dictator. But world silence won’t hold us back, just as Assad evil cannot. We’ve been resisting for so long and so hard, that some people lose sight of the original objective: to bring down the regime and establish a free Syria. After nearly three years, many brave souls have died, others were captured, fled, or just left and forgot about the revolution. There have been many ups and downs and it’s been a long journey and I think it’s going to take a hell of lot more time and a lot more pain until we get our freedom.